Capdepera borders on the municipal areas of Arta and Son Servera. Capdepera boasts plenty of sunshine with the average of 7.5 hours in spring, 6 hours in autumn and 5 hours of sun in winter. In summer, the weather provides an opportunity to enjoy 10.5 hours of sunshine every day, with the most hours at 11 in July. The municipality of Capdepera, as Mallorca in general, enjoys a maritime Mediterranean climate that is characterized by warm and dry summers, and mild but humid winters. August is the hottest month in Capdepera with the average maximum temperature of 31°C and the average minimum temperature of 20°C. The coldest months are January and February when the average maximum temperature is 15°C and the lowest temperature is 5°C. The summer months are typically the driest with 9.3% rain chance in average; whereas, the wettest month in the region is November with 39% chance of rain. The windiest month in Capdepera is March with the highest chance of windy days of 16%. The least windy months are from June to September with the average chance of windy days of 4%. The sea temperature around Capdepera has significant thermal variation during the year. The temperature ranges from 13°C in April up to 26°C in the month of August. The average water temperature throughout the year is 18.4°C and the best time for marine activities is late summer, since Capdepera is located in the northern hemisphere. The far north-eastern corner of the island has lots to offer with a special charm. Located in this region of Mallorca, the municipality of Capdepera with a population of 11,385 inhabitants is ideal for second home buyers looking for a quiet yet sophisticated environment. Because of its extraordinary location, it combines the best of authentic Mallorca with magnificent beaches and forest regions creating amazing scenery. This is a location to consider for those seeking a coastal property, potentially with a sea view, at prices lower than in better-known locations of the south-west or north-west of Mallorca. Capdepera offers a varied range of properties, including apartments, traditional fincas, and luxury villas. The most sought-after residential areas are at Cala Ratjada, Canyamel, Costa de Los Pinos and Font de Sa Cala. Besides quality homes, you’ll also find here plenty of amenities, such as golf courses and restaurants. As a part of Northeast Mallorca, prices on Capdepera property market are slightly higher compared to the region, but below island’s regular. The average price of an apartment here is Average price per sqm. in Northeast Mallorca €2,737 0% properties#: 590 last change on: 19 Apr 2019 €2,737 per square meter and a price for a house is around Average price per sqm. in Northeast Mallorca €2,813 0% properties#: 1279 last change on: 19 Apr 2019 €2,813 per square meter on average. Additionally, investment opportunities have an average value of Average price per sqm. in Northeast Mallorca €2,493 -1% properties#: 144 last change on: 19 Apr 2019 €2,493 per square meter. The most renowned real estate agencies operating on Capdepera property market are Porta Mallorquina, Engel & Völkers and Mallorca Dream Inmobilaria. Capdepera stretches along 25 kilometres of spectacular coastline liberally sprinkled with lovely sandy coves. It has developed into a resort zone of great importance that accommodates well-known resorts, all of them sharing stunning landscapes, white sand beaches, and crystalline sea. Most of the beaches are awarded the prestigious Blue Flag for their cleanliness, water quality, and facilities. 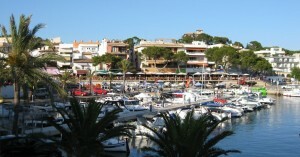 The resort of Cala Ratjada is the principle port, coastal development and population centre of the municipality. Also, it hosts the superb marine sports club, which is perfect for all nautical sports. The historic town of Capdepera lies approximately three kilometres inland of the Cala Ratjada. 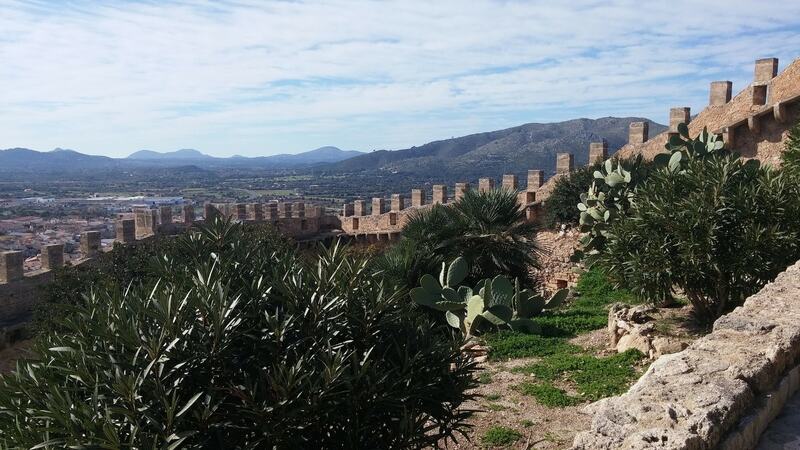 Here, you’ll find a medieval castle that dates back to 1333 that overlooks the town, providing magnificent views. The region of Capdepera is located in the natural surroundings of the Serra de Llevant mountain range, characterized by small hills and idyllic valleys. The area has a restricted traffic access and is perfect for cycling and hiking. Capdepera is an ideal location for keen golfers to set up a base and try out the greens that region has to offer. A number of golf courses including the clubs of Capdepera, Canyamel, Son Servera and Pulla Golf are only a few minutes from the residential areas. On a particular note, Capdepera Golf Club is recognized as one of the most beautiful courses on Mallorca. Designed by the famous US architect Dan Maples, the club opened in 1989. Today, this eighteen-hole course has everything the keen golfer could want and offers various challenges to suit both high and low handicap players. Moreover, situated in the Llevant foothills, it boasts spectacular views over the idyllic valley to the Mediterranean Sea. The greens are generally spacious and there are six artificial lakes. The clubhouse restaurant the Roca Viva has a superb terrace with wonderful mountain scenery and serves high-quality Mallorcan and international cuisine.